100% handmade in small batch to ensure what you bought is exclusive and one-of-a-kind! 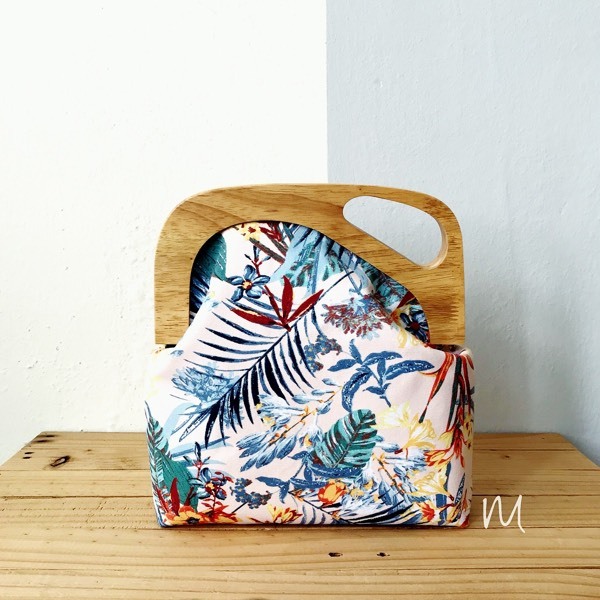 Wooden frame clutch with tropical prints canvas fabric with dimensions of 27cm (height) x 24cm (length) x 6cm (width). Perfect fit for your wallet, mobile phone, keys and other peripherals. Make people stare with this unique clutch!